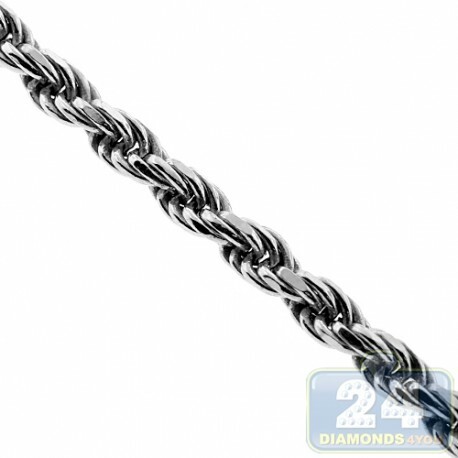 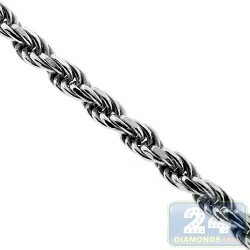 Our solid rope chain for men is a timeless piece of jewelry! 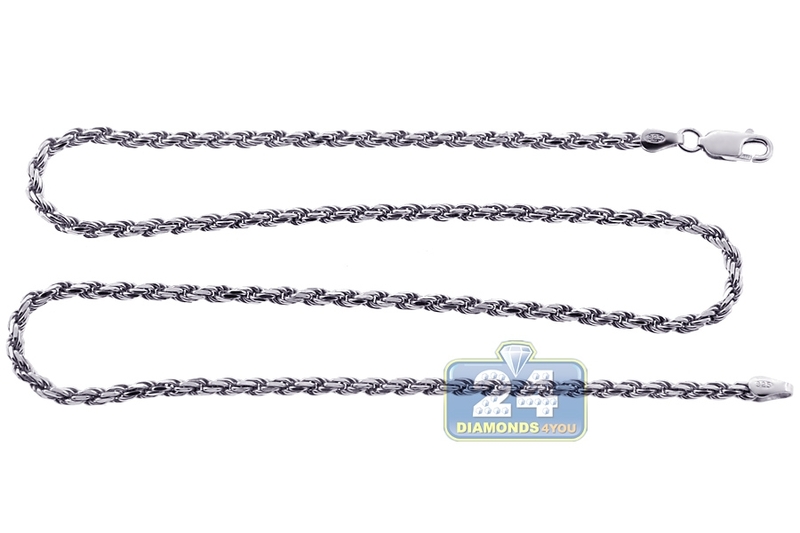 It is beautifully handmade of Italian 925 sterling silver, and covered with white rhodium that helps prevent tarnishing and gives a bright color. 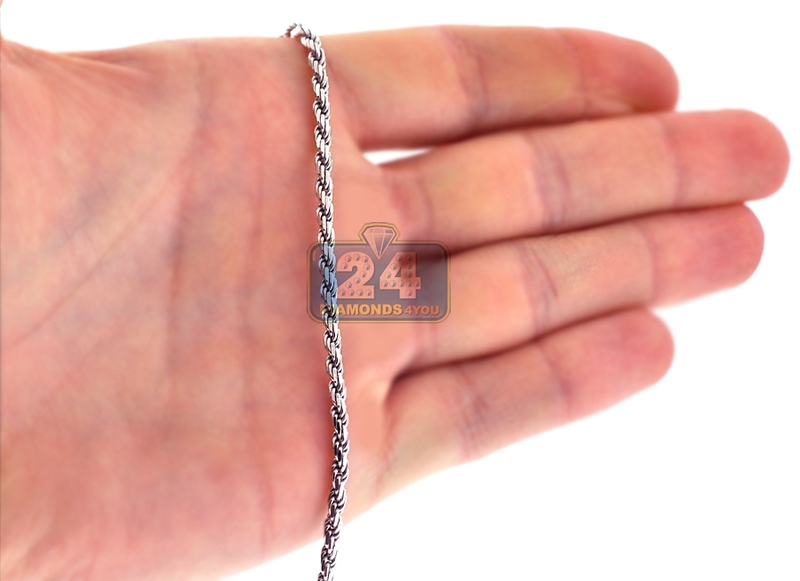 The necklace measures 2.5 mm in width, and available in 18, 20, 22 or 24 inches in length. 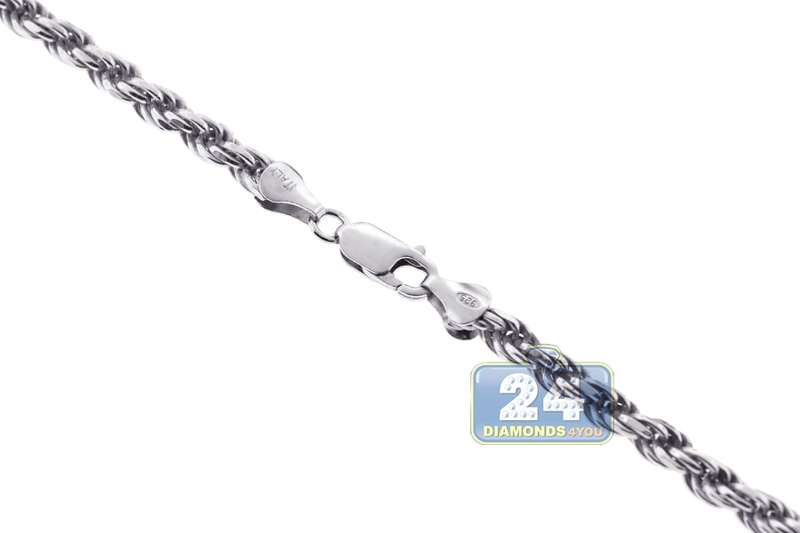 It's secured with a safe and user-friendly lobster claw clasp. 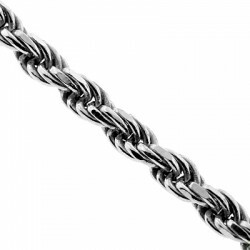 This men's silver necklace is a classy addition to chain collection!